Our review of the Company of Animals Non-Pull Harness. A popular but ultimately flawed harness for your dog. 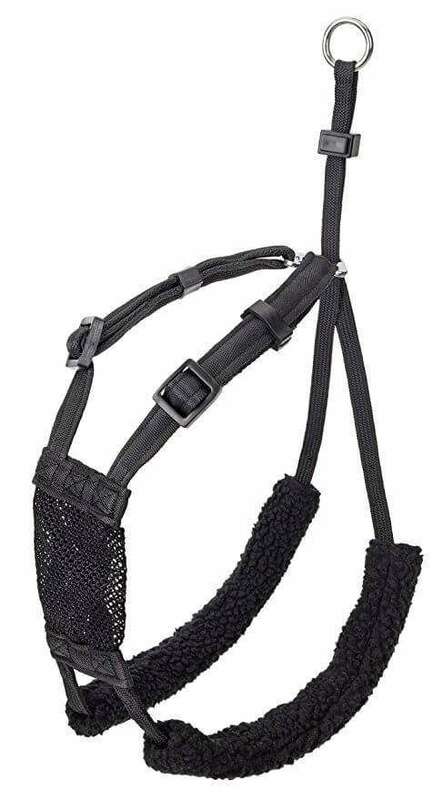 Followed now is our review of Company of Animals Non-Pull Harness. 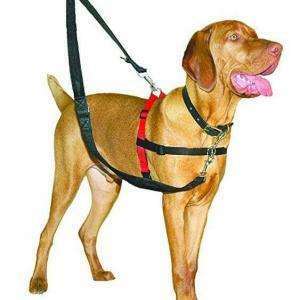 We’ve featured a variety of no-pull harnesses in Collar & Harness. The Company of Animals Non-Pull Harness is one we’ve seen many times in our local parks, and decided to check it out. This is by far one of the most affordable harnesses out there and available in small, medium and large sizes. The design uses elastic webbing and mesh which covers your dog’s chest. This is designed for comfort and on first view, it appears to be so. The harness also includes padded Sherpa sleeves, again suggesting comfort. With a no-pull harness you need to consider two things. Firstly comfort to the dog. Secondly handling for the owner. The reason padding, strap design and resistance testing is so important is that when a dog pulls, it can pull hard. Very hard. This can particularly be true for dogs with a high prey instinct, or over-excited large breeds. 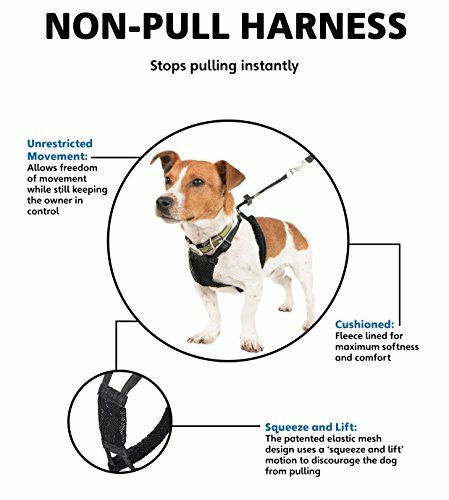 The Company of Animals Non-Pull Harness uses the ‘squeeze and lift’ theory that tightens on the dog when they pull on the lead. 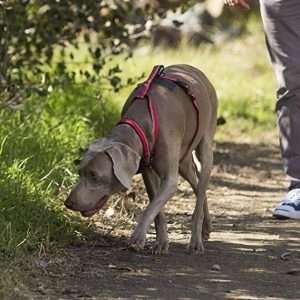 According to the company, this will ultimately deter the dog from pulling and will return them to normal controlled walking. 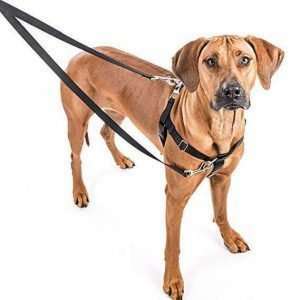 Apart from causing discomfort to your dog, we’ve never seen a dog with this harness that didn’t pull. This sort of technique tends to have the opposite effect. Often the dog is trying to get away from the uncomfortable or even painful feeling, thus pulling harder. We couldn’t bring ourselves to test it out on our dogs beyond the fitting phase. 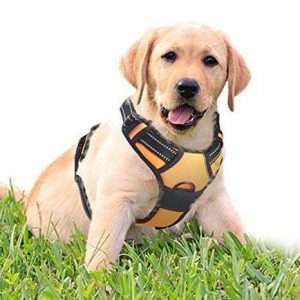 As a harness for well behaved dogs, this could be a great and affordable option for owners. But as a harness specifically designed for non-pull, the “pinching” effect makes it flawed. It’s worth noting that Company of Animals does create some exceptionally good dog accessories. This includes the excellent HALTI range. The Company of Animals Non-Pull Harness is just unusually flawed.